(Newser) – Stocks in the US and Europe skidded as investors worried about the financial stability of Turkey and how it might affect the global financial system. The Dow Jones Industrial Average fell 196 points, or 0.8%, to 25,313, per the AP. 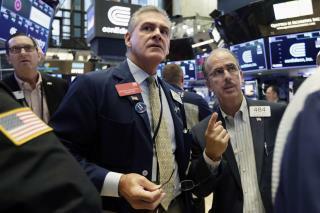 The Nasdaq composite fell 52 points to 7,839, and the S&P 500 index fell 20 points to 2,833. A Turkish official, meanwhile, says President Trump's decision to double tariffs on Turkish steel and aluminum imports, which he announced on Twitter, lacked "state seriousness." It's the latest development in souring relations: The US slapped sanctions on two Turkish officials earlier this month over a detained American pastor. REALLY! Slap tariff's on China and the stock market goes up, but do the same to Turkey and the market drops 200 points? Your screwed in the head Newser. When is the USA going to get smart and help kick Turkey out of NATO. Turkey is just like Pakistan a full pledge enemy of America. He is going to have a real coup, when the people cant afford water and dirt.